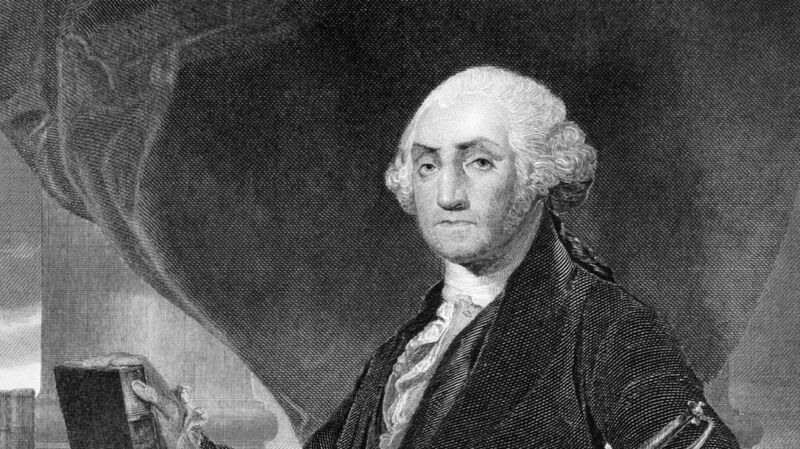 America’s first commander in chief wholeheartedly fought to free his country from tyranny’s reign, but when it came to behaving like a king, George Washington was as noble as they came. In his youth, Washington put pen to paper to capture 110 Rules of Civility and Decent Behavior in Company and Conversation. The rules were based on a set originally composed by French Jesuits in 1595, which played a huge role in shaping America’s first president. If a man as important as Washington devoted his entire life to behaving well, surely we can learn a few things from him. Though some of the founding father’s rules are in need of a fresh coat of paint for modern life, these 12 are as appropriate as ever. 1. In the presence of others, sing not to yourself with a humming noise, nor drum with your fingers or feet. If all the world abided by this rule, wouldn’t all public spaces and places be more pleasant? If this could also apply to people who listen to music without headphones, we’d all win. 2. Read no letters, books, or papers in company but when there is a necessity for the doing of it you must ask leave: come not near the books or writings of another so as to read them unless desired or give your opinion of them unasked also look not nigh when another is writing a letter. If George Washington was writing this today, it’d go more like this: Urge no others in your company to watch a YouTube video as you look over their shoulder. Do not come into company prepared with a YouTube video to watch unless asked to do so. And never, ever look at your colleagues’ Gmail inboxes, however open they may be. 3. Do not laugh too loud or too much at any public spectacle. Especially in a movie theater. 4. Let your discourse with men of business be short and comprehensive. Everyone is busy; let’s be respectful of everyone’s time, as it is precious. 5. In visiting the sick, do not presently play the physician if you be not knowing therein. Do not offer to search the Internet for a friend’s illness symptoms and deliver your findings, and never, ever relay the details of your distant relative’s medical horror story to a person who is ill.
6. Be not immodest in urging your friends to discover a secret. Don’t over-share, especially on Facebook. 7. Be not apt to relate news if you know not the truth thereof. Confirm your sources. Always confirm your sources. 8. Undertake not what you cannot perform but be careful to keep your promise. If you say you’re going to do something, do it. Keep your word, it is your best asset. 9. A man ought not to value himself of his achievements, or rare qualities of wit; much less of his riches, virtue or kindred. Even a man with a 555-foot tall monument in his honor was against the humblebrag. Let others brag on your accomplishments. 10. Speak not evil of the absent for it is unjust. If we all followed this rule a little more carefully we would be without reality TV. 11. Think before you speak, pronounce not imperfectly nor bring out your words too hastily but orderly & distinctly. 12. Drink not too leisurely nor yet too hastily. Before and after drinking, wipe your lips; breath not then or ever with too great a noise, for its uncivil.